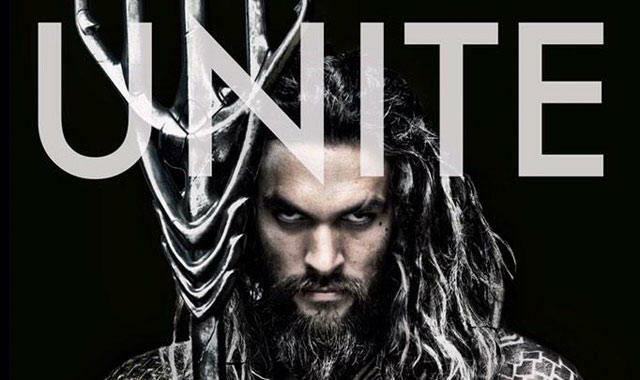 We’ve already seen an official picture of Jason Momoa as Aquaman, but we haven’t seen anything else since. And although this shot of what appears to be official merchandise isn’t the best indication of what to expect, it’s still better than nothing. At the Comic Con experience in Brazil this week, merchandise for Batman v Superman made an appearance, giving us a look at what the oceanic hero looks like. As you can clearly see, he’s wearing his trademark green pants, though that’s where the similarities to the comic design end. 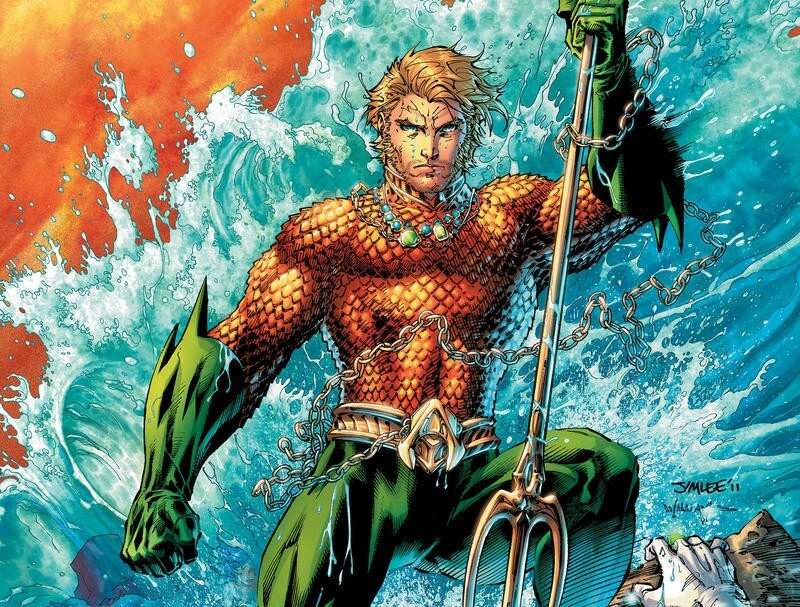 Instead of an orange shirt mimicking the look of fish scales, the character is instead covered in tattoos, just as we saw in the official photo. 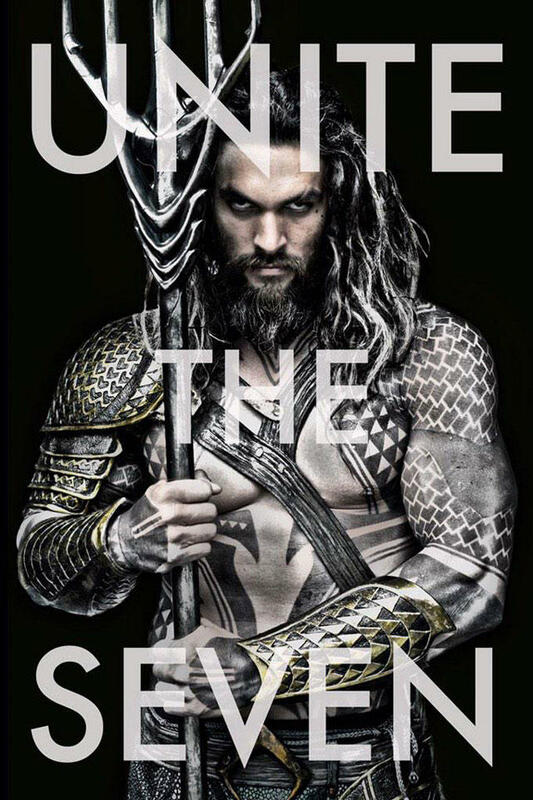 Meanwhile, Aquaman dons gold armor, which is likely a bit more gaudy in the picture than it will be in the actual movie. 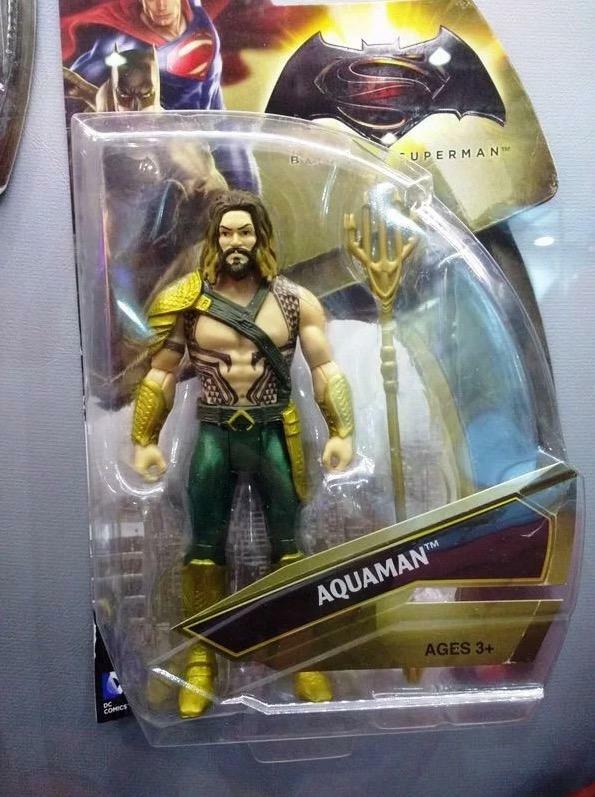 Again, we’ve already seen Momoa as Aquaman, so the toy doesn’t really give us much to go on. But it does give us a more complete picture. Note that the tattoos are a little different compared to the design we saw when the first promotional image was released, so who knows what he’ll look like onscreen. 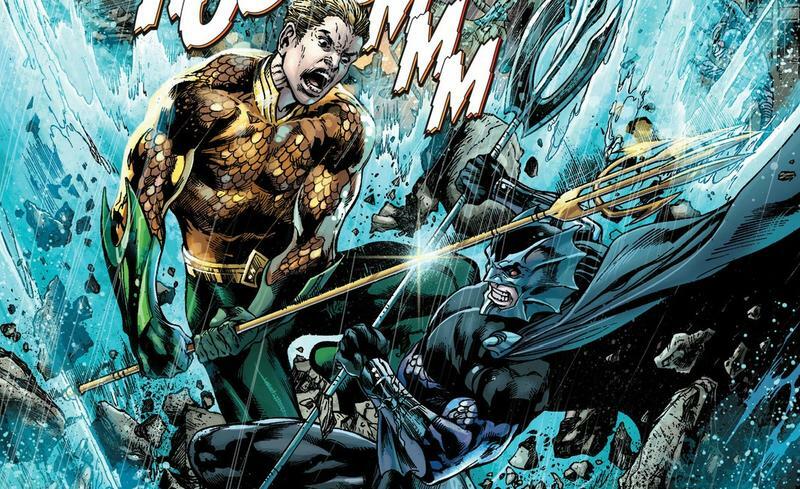 We’re expecting to get our first glimpse of Aquaman in next year’s Batman v Superman, so we should get a better look at the hero pretty soon. Batman v Superman: Dawn of Justice is set for a March 25, 2016.